"When designing a balanced scorecard, we always start by asking: What is your strategy? Once we understand the strategy, we can build a new framework for describing the strategy, which we call a strategy map," wrote Robert Kaplan and David Norton in their book The Strategy Focused Organization. I am reminded of a story by Stephen Covey in his book First Things First, that best describes how we manage our business: I attended a seminar once where the instructor was lecturing on time. At one point, he said, "OK, time for a quiz." He reached under the table and pulled out a wide-mouthed gallon jar. He set it on the table next to a platter with some fist-sized rocks on it. "How many of these rocks do you think we can get in the jar?" he asked. After we made our guess, he said, "OK. Let's find out." He set one rock in the jar… then another… then another. I don't remember how many he got in, but he got the jar full. Then he asked, "Is this jar full?" Everyone looked at the rocks and said, "Yes." Then he said, "Ahhh…" He reached under the table and pulled out a bucket of gravel. Then he dumped some gravel in and shook the jar and the gravel went in all the little spaces left by the big rocks. Then he grinned and said once more, "Is the jar full?" By this time the class was on to him. "Probably not," we said. "Good!" he replied. He reached under the table and brought out a bucket of sand. He started dumping the sand in and it went into all of the little spaces left by the rocks and the gravel. Once more he looked and said, "Is this jar full?" "No!" we roared. He said, "Good!" And he grabbed a pitcher of water and began to pour it in. He got something like a quart of water in that jar. Then he said, "Well, what's the point?" Somebody said, "Well, there are gaps, and if you work really hard you can always fit some more things into your life." "No," he said, "That's not the point. The point is this: If you hadn't put these big rocks in first, would you ever have gotten any of them in?" Your VMV and Strategy are your rocks and the rests are your pebbles, sand and water. So, let's start building your balanced scorecard (BSC) by establishing your strategy. Of course, we presume that you have done your homework: you are very sure you need a BSC; you've crafted your vision-mission and values and you've done an environmental analysis of the past six months of your organizational life to determine, analyze and draw your strengths, weaknesses, opportunities and threats to your vision, mission and values. Now you are ready to move on to the next step: developing your overall business strategy. You need to come up with an overarching strategic theme or themes for your own organization: Howard Rohm of the Balanced Scorecard Institute suggests these business strategies: build the business, improve operational efficiency and develop new products. For public-sector organizations, he suggests: build a strong community, improve education, grow the tax base and meet citizen requirements. Rohm describes strategy a hypothesis of what we think will work and be successful. The remaining steps in the scorecard-building phase provide the basis for testing whether these strategies are working, how efficiently they are being executed, and how effective they are in moving the organization forward toward its VMV. It is very important that you formulate clear strategies, because they drive the rest of the process while your people, technology, innovation and internal processes will enable you to realize your financial aims and delight your customers. MERI KRISMAS PO: The Rotary Club of Quezon City North enjoins you to share your blessings this Christmas with the poor, but hardworking and hopeful residents of the Payatas District composed of barangays Commonwealth, Holy Spirit, Bagong Silangan, Batasan Hills and Payatas. 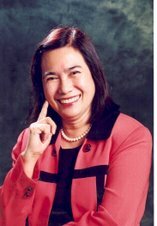 President Elsa Cañete will be happy to receive your pledges and answer your questions at (0927) 614-9475.